At eEuroparts.com, we offer a wide selection of all types of Volvo parts, including C70 parts. The C70 was first introduced to the world in 1996 and quickly set a new standard for Volvo. The company had already developed a reputation over the years for producing safe vehicles that expertly combine high performance with comfort. With the release of the C70, a new standard was established. This coupe came about as a result of collaboration between Volvo and TWR of Britain. The goal of this new vehicle was to marry a beautiful appearance with performance levels that had previously been unheard of in any prior Volvo models. The Paris Motor Show of 1996 was the setting for the introduction of the C70 Coupe to the market. Both prospective customers and the media welcomed the new vehicle to the Volvo lineup. One of the elements that set the C70 apart from its predecessors was the fact that it was able to achieve top speeds of up to 250 kilometers per hour. In addition, the vehicle was designed to offer exceptional ergonomics and first-class roadholding. Combined with top-of-the-line interior finishes, including genuine wood and real leather, the new C70 was certainly set as a class apart from other vehicles of its time. The Volvo C70 also included state-of-the-art audio equipment. Production of the Volvo C70 was finally ceased in 2002. 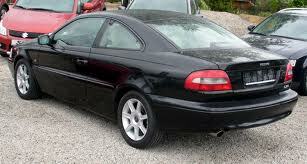 If you are in need of Volvo C70 parts, you can rely on eEuroparts.com to find exactly what you need.